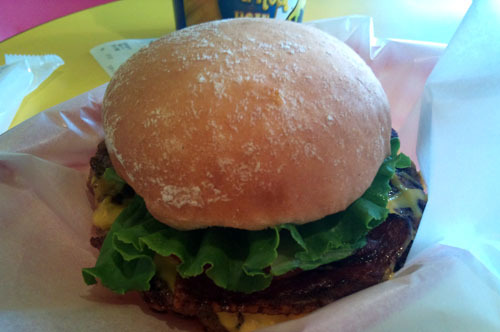 The burgers at this popular Hawaiian chain are indeed rather big - flat and wide rather than thick - and charbroiled to order. 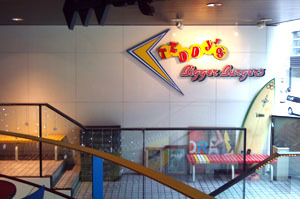 A regular-size burger (5 ounces) is Y880, or Y1200 with fries and a soft drink. The surfboard-decorated shop interior is fairly fast-foodish, but they have a pleasant five-table outdoor terrace area looking out over central Harajuku. Shibuya-ku, Jingumae 6-28-5, Miyazaki Bldg 2F.